Rowman & Littlefield International, London, 2018. 196 pp., $39.95 pb. The iconic Alberto Korda image of Che Guevara captured at a political event in Havana in 1960 continues to cast a spell over the imagination of the global left. In the wake of the wave of revolutions that erupted across the world one year after his execution in 1967, t-shirts and posters carrying the photo were de rigueur for rebels with and without a cause. In this century, the legend of Che has been re-fuelled by the resurgence of the radical left in the form of the anti-capitalist movement and its electoral manifestations such as Syriza and Podemos. The publication of his youthful Motorcycle Diaries in 2003 sparked another slew of biographies and movies that propagated the paradox of revolutionary chic. Renzo Llorente’s new study also bears the image on its front cover, consciously acknowledging that its subject remains one of the few figures in the history of the left who is recognisable to most ordinary people. Llorente’s study, however, aspires to go beyond the hype and assess whether the arguably most charismatic revolutionary of the twentieth century has anything to offer those who seek radical change in our time. The author’s response to this challenge is an affirmative one. In his words: ‘we continue to face most of the problems that Guevara confronted more than fifty years ago and many of the basic positions and commitments that he advocated in addressing these problems seem eminently sensible today’ (120). Llorente wants to make the case that Che should be considered as not only a powerful man of action (which all but his harshest enemies would probably accept) but also as a theorist of the first rank, capable of holding his own in the same company as Marx and Engels or Lenin and Trotsky. In this objective, the author ultimately fails in much the same way it was apparent Che’s own revolutionary strategy had led him to a lonely death in the Bolivian Andes. Any assessment of the Argentine’s legacy to the 21st century left should be contextualised by the fate of the revolution in Cuba that he helped create. By the time Fidel Castro died in 2016 (after almost 60 years of virtual one-man rule), his brother, Raul, had already smoothly replaced him with a dynastic-style assumption of power. After another period of authoritarian control, the government passed into the hands of Miguel Diaz Cannel who has been pursuing a policy of rapprochement with the US (at least until Trump entered the White House). Any radical impulses that might have emanated from Havana in the 1960s have long since ceased to influence the thinking of the left beyond the Caribbean. Resisting the predatory agenda of Washington for almost sixty years was a formidable achievement by the Castro brothers but it was built on the suppression of workers’ democracy and the toleration of racism against the island’s black minority. Strangely, Llorente does not include any reflections on the post-revolutionary trajectory of Cuba in his consideration of Che’s legacy. He might validly argue Che’s departure from the island in 1966 entails we should not regard him as accountable for what happened subsequently. However, the seeds of the non-democratic system that unfolded there were apparent when Che was politically active in the regime as Minister of Finance in the early 1960s. The author claims Cuba’s putative transition to socialism was partly inspired by Che’s pursuit of a transformational conception of human nature, itself consistent with the type of eminently social and non-alienated human beings that Marx and Engels argued would emerge in their own vision of the future socialist society. According to Llorente: ‘Guevara assumes that as society evolves towards communism, the members of society will come to identify more and more fully with society as a whole, so that in working for society one is serving one’s own interests and therefore much more likely to perceive sacrifices for society as directly benefitting oneself and thus barely sacrifices at all’ (16). The author’s evidence for Che’s commitment to this radical reconfiguration of human nature is the ‘gruelling workload’ the Argentine undertook in his ministerial responsibilities following the revolution; involving eighteen-hour days, six days a week (plus voluntary labour on Sundays) and frequently foregoing time with his young family in order to complete administrative tasks. Llorente approvingly cites Sartre’s celebrated comment that the revolutionary ‘was the most complete man of our time’ (26). The description of Che’s daily routine, however, is more reminiscent of the cult of Stakhanov in Stalinist Russia than the speculative clues in Marx and other thinkers concerning the nature of humanity in a post-revolutionary phase. Llorente suggests Che’s exertions on behalf of the Castroite regime were designed to provide a role model for the people and inspire them to replicate his dedication in their working lives. This is a top-down conception of transforming human behaviour, however, which has more in common with modern corporate manuals than the reflections of Marxists such as Lukács or Trotsky. For the latter, the reconfiguration of human nature is one aspect of the self-emancipation of the working class, which can only occur when that class is actively engaged in seizing control of the political process. The revolution spearheaded by Castro and Che was characterised by a largely quiescent proletariat standing aside as the guerrillas of the 26th of July Movement outmanoeuvred Batista’s armed forces in a predominantly rural-based campaign for control of the island. The political emasculation of the urban labour movement would remain a feature of the new regime. The emergence of a genuinely non-alienated personality type is impossible in these circumstances. If the working class is not the driving force of a post-revolutionary society, the pressure to re-assert the competitive logic of capital will become irresistible. Che’s exhortations to Cuban workers – despite his noble intentions – were less sowing the seeds of ‘socialist man’ and more the rhetorical flourishes of a new ruling class embedding itself in the minds of the population. Other Marxist theoreticians who have contemplated the possible nature of the non-alienated psychology of citizens in a socialist society have underlined the indispensability of workers’ democracy to the process. For Marx and Engels, the partial democracy they observed in nineteenth century England would be superseded by an exponential expansion of democratic rights under socialism. For Lenin and Trotsky, rigorous debate in the soviets was the cornerstone of the post-1917 government. Llorente casually concedes that Che ‘neglects the question of democracy and in particular the procedural aspects of a democratic socialism… Perhaps Guevara could have devoted more time and thought to the question of democracy’. He exculpates his subject for this aporia by reminding us again that Che undertook ‘very considerable political responsibilities and commitments’ (122) which precluded him from developing a theory of socialist democracy. Sceptics of Llorente’s claim that Che was a Marxist theoretician of the first rank will question how any figure can qualify for such accreditation with such a crucial gap in his body of thought. If Che is associated with any one particular concept, it is surely his strategy of the ‘foco’, defined by Llorente as the conviction that ‘an armed revolutionary vanguard, properly situated in the countryside, can spark a successful revolutionary insurrection’ (55). Even the author, however, grudgingly concedes ‘there is at present, little justification for armed struggle in the form of guerrilla warfare as a method of combatting contemporary imperialism’ (57). The failure of the foco even as a military strategy was apparent in the aftermath of Che’s death. The fateful Bolivian adventure that was devised with little reference to the country’s sizeable population of tin miners had been preceded by an equally fruitless insertion into the Belgian Congo. Leaving aside the unimpressive military balance sheet of the ‘foco’, the strategy bears all the hallmarks of a form of substitutionism that is consistently denounced by the pre-eminent thinkers of Marxism to which Llorente believes Che should be compared. In the decades following his death in 1967, Latin American has witnessed the emergence of giant urban proletariats, particularly in the mega-cities of Argentina, Brazil and Mexico. Labour movements in these countries, and elsewhere in the continent, have played decisive roles in toppling military dictatorships and bringing to power left-of-centre regimes. The notion that the effectiveness of such phenomena would have been enhanced by the participation of Guevarist guerrilla forces operating from rural locations is difficult to sustain. 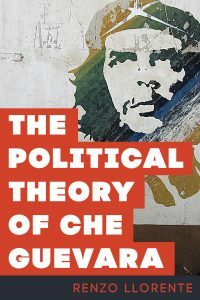 Llorente acknowledges that Che downplayed the significance of the working class in his political theory but still argues this is compatible with an orthodox Marxist approach: ‘Guevara plainly believes that much of the process of worker self-emancipation takes place after the overthrow of capitalist rule, as did Marx, whether or not the working class was the principal agent of this overthrow’ (96). The author cites a passage from Marx’s Civil War in France to support this extremely doubtful claim. Even if we accept Llorente’s interpretation here, the overall spirit of Marx’s mature writings on revolution is that the active participation of the working class in their own emancipation is a sine qua non of authentic socialist transformation. If anything, the contemporary Latin American left would be better served by setting aside the political theory of Che and embracing instead the ideas of the Peruvian Marxist, Jose Carlos Mariategui, who is occasionally cited by Llorente. Writing in the 1920s, Maraitegui’s strategy for unifying struggles on the land and in the cities was an influence on Che as a young man, but regrettably, the Argentine appears to have forgotten the political lessons of this reading when he came to achieve power and influence with the Castro brothers. Latin American revolutionaries today should certainly continue to regard Che as an inspirational figure for his indefatigable opposition to imperialism (both American and Russian) and his deep compassion for the oppressed wherever he found them. However, as a political strategist, he resembles the heroic Narodniks of tsarist Russia who spearheaded the resistance to a dying social order but then, tragically, led that resistance down a historical cul-de-sac.